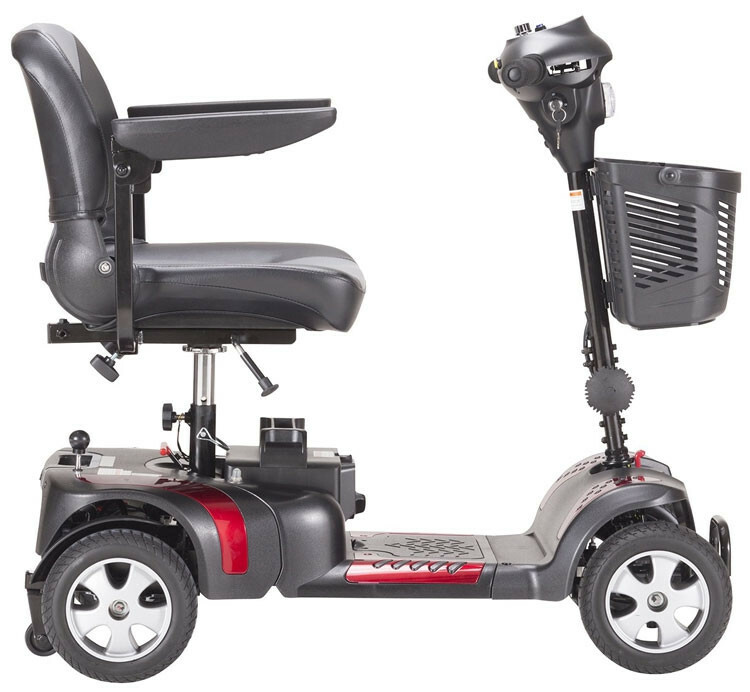 Phoenix HD4 is a heavy duty 4-wheel scooter designed for portabiity. Its 4 wheel design is preferred by those who take their mobility aid on varied terrain. 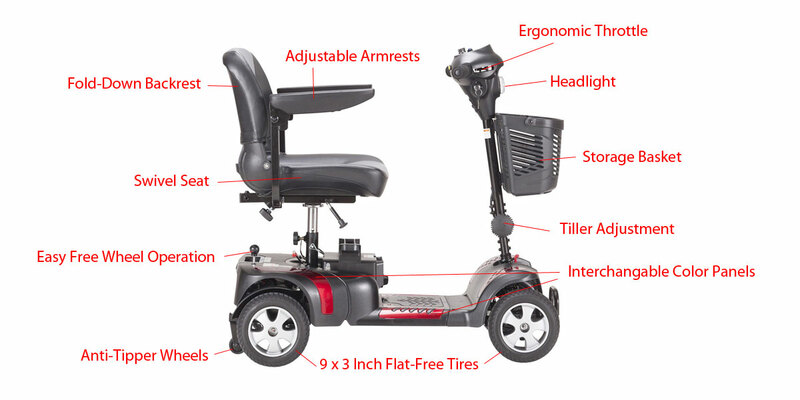 That is what the Phoenix 4 Wheel Heavy Duty Scooter, by Drive Medical, is designed to do just that, and have all the features and comfort that may make the Phoenix 4 Wheel Scooter one of your best mobility investments. 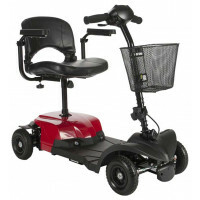 Phoenix 4 Wheel Heavy Duty Scooter has a lovely, padded seat with two soft armrests. 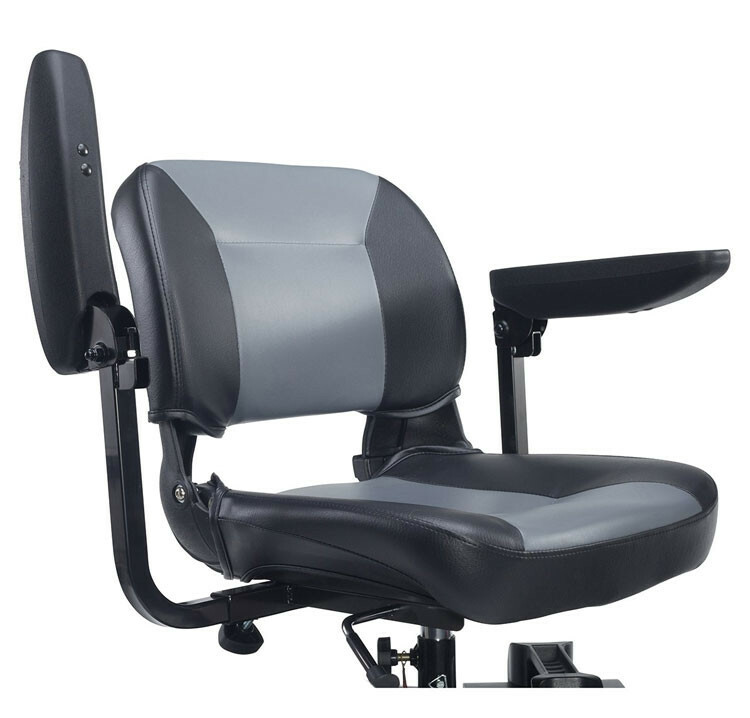 The armrests are adjustable and flip up to get out of the way when you need to move through. 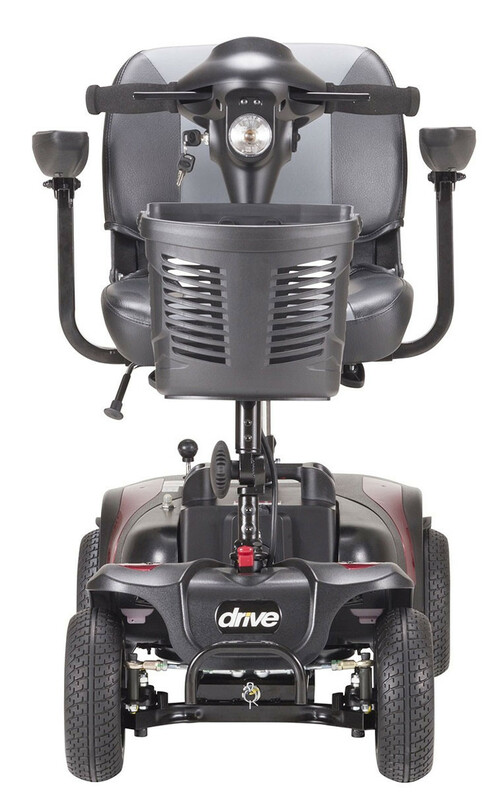 The seat is height adjustable and swivels both ways. 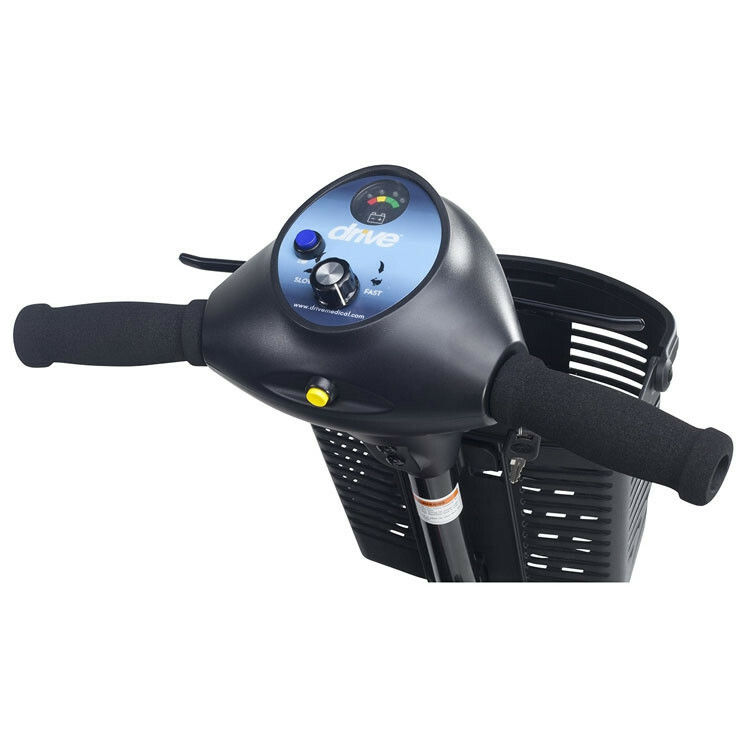 The tiller is also adjustable to make it easier to steer. 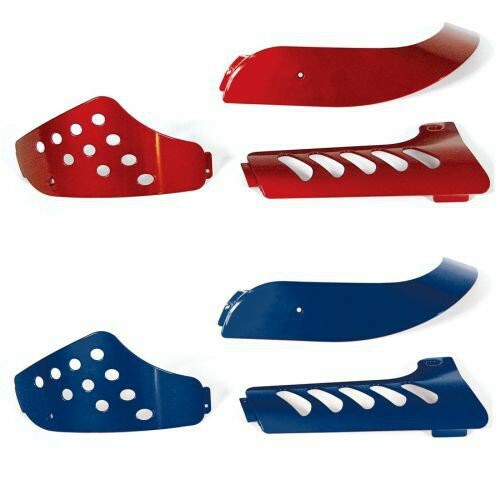 The 4 wheel frame comes with color accent panels that you can alternate between blue and red simply by pulling one off and affixing the other with hook-and-loop connectors. 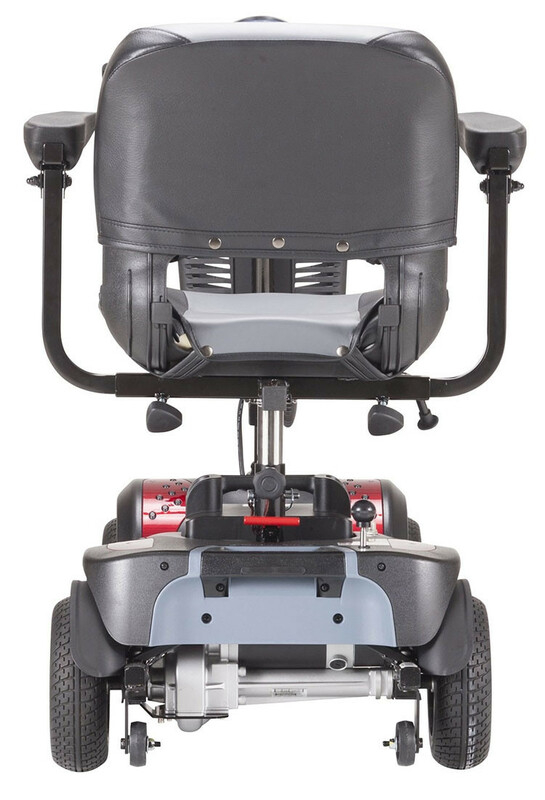 The Phoenix HD 4 Wheel compact scooter comes with a easy-to-remove battery that can be charged separately from the unit. 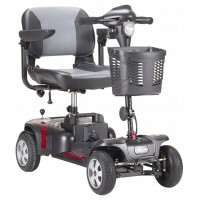 The Phoenix 4 Wheel Scooter design allows it to negotiate broad indoor obstacles, making navigating tight spaces with ease despite being heavy duty and having 4 wheels. 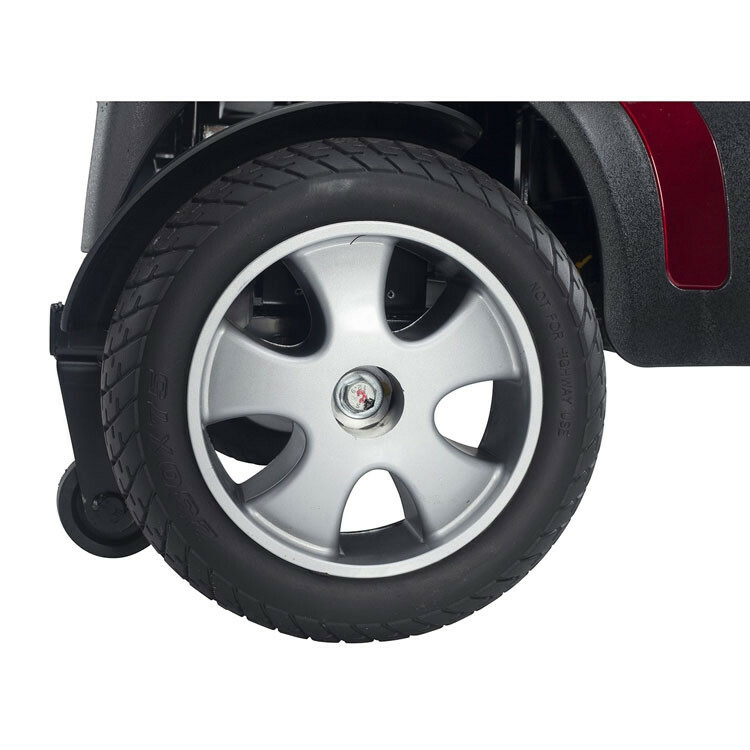 The four tires are flat-free and non-marking. 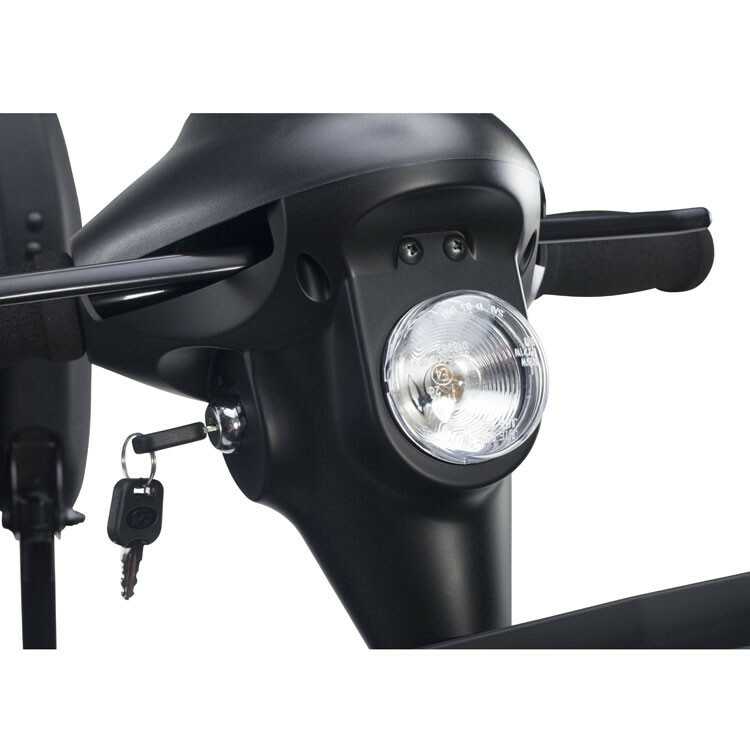 The wheels are attractive and built with craftsmanship The Phoenix HD 4 Wheel Travel Scooter comes with a single headlight as another added safety feature. 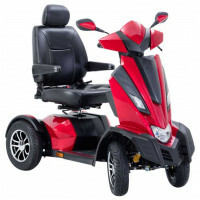 This is one of the best 4 wheel mobility scooters on the market. 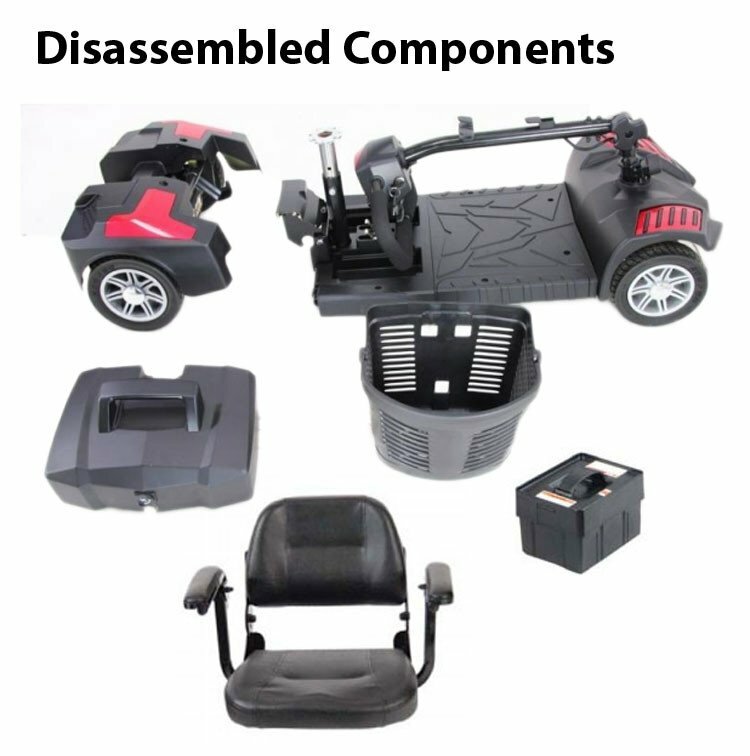 The Phoenix HD 4 Wheel Scooter comes in five parts, including the hard plastic basket, that will assemble and disassemble with no tools needed. This will make it easy if you need to load it into a vehicle for transport. 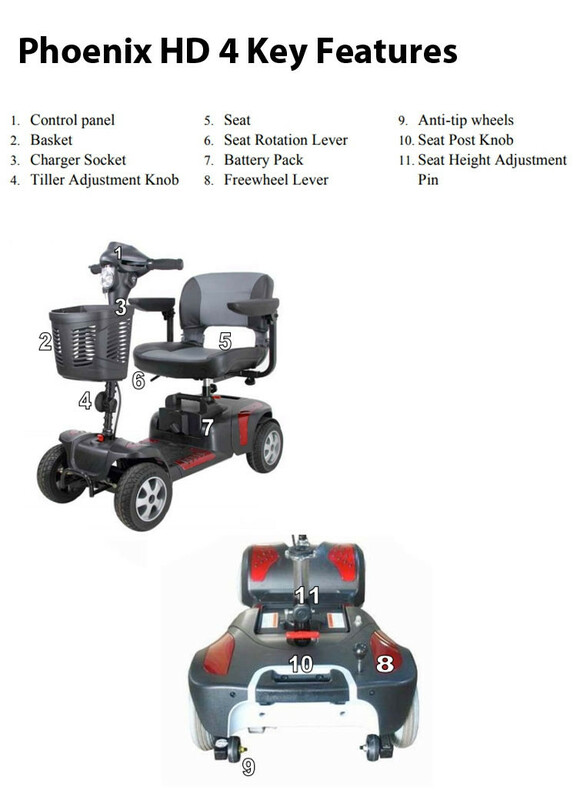 Phoenix 4 Wheel Heavy Duty Scooter has all the amenities of its three wheeled cousin, the Phoenix HD 3 Wheel Scooter. 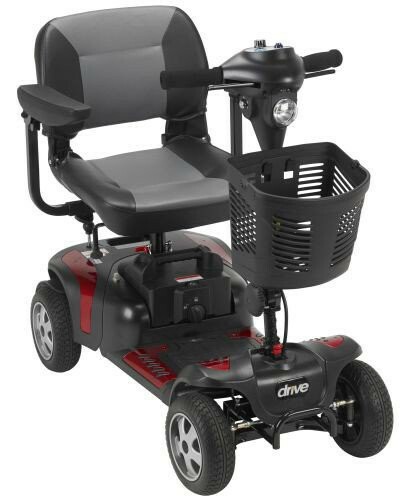 Drive Medical manufactures several 3-wheel Scooters and 4-wheel Scooters, including the Panther, the Spitfire EX2, the ZooMe Auto-Flex, and the Ventura 4-Wheel Scooter. 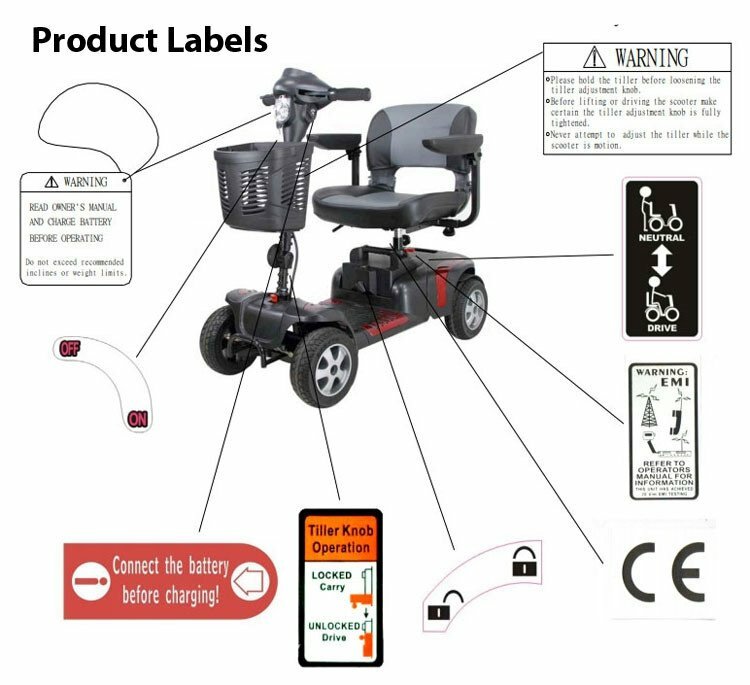 Product Catalog Page provides a summary of the features and options. 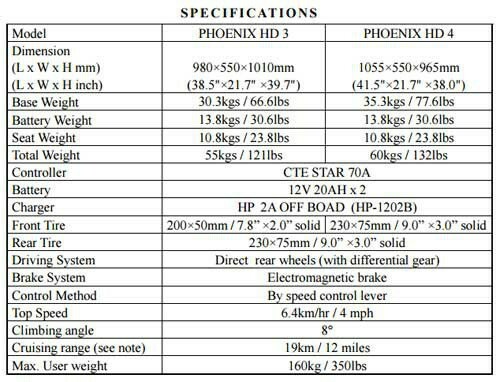 Parts Diagram provides a detailed list of parts and a graphic showing the location of the parts on the vehicle. 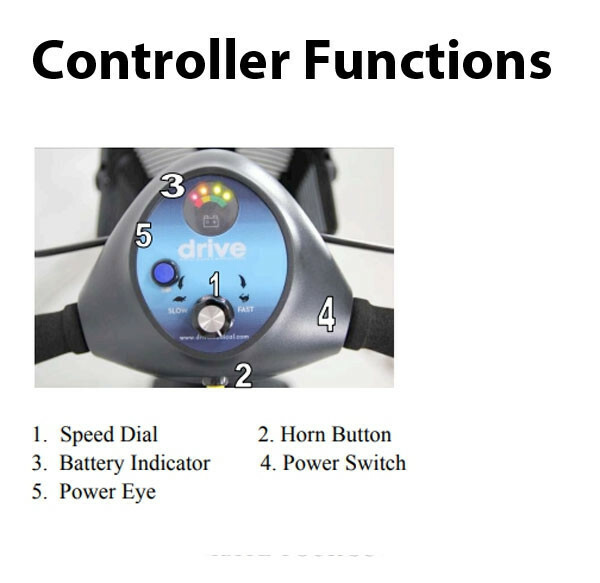 Quick Start Guide contains quick setup instructions. 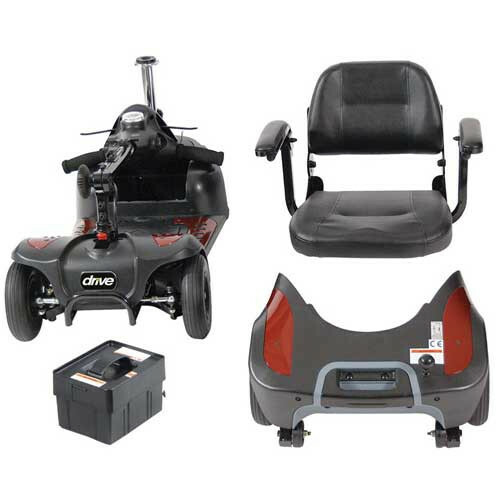 Owner's Guide contains detailed setup, use, maintenance and warranty instructions. Weight: 93 lbs. 363 lbs. 129 lbs. 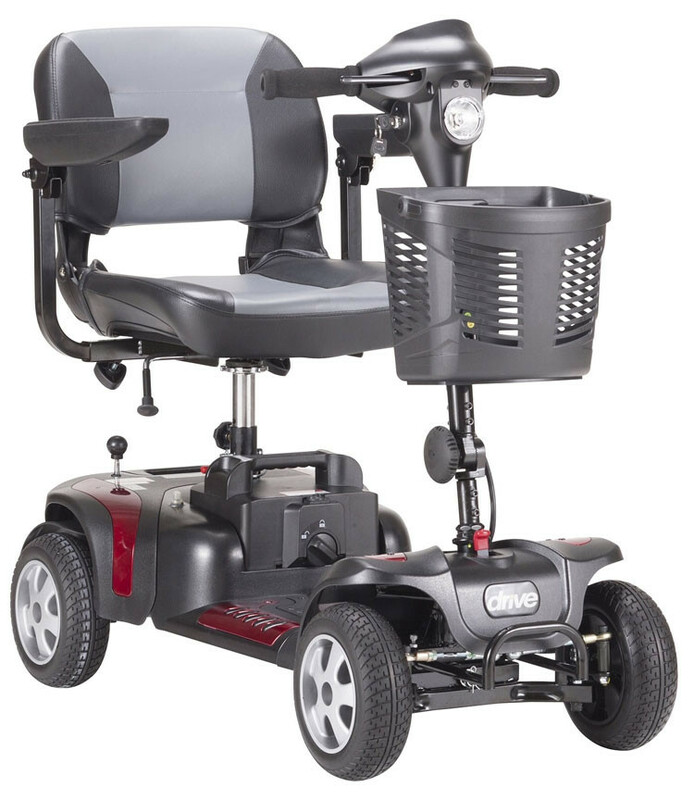 Weight Capacity: 265 lbs 450 lbs. 350 lbs.